Easily Sell Courses, Books and Merch Online – only $17! Easily Sell Courses, Books and Merch Online - only $17! 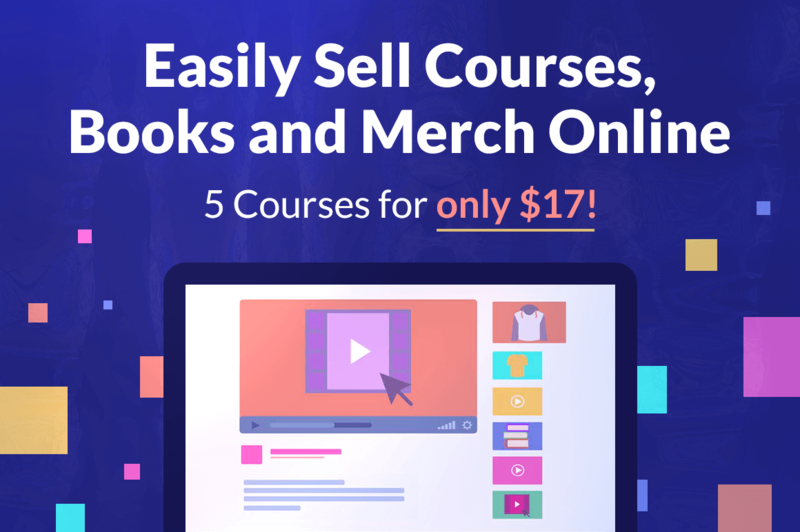 NOW ON: Easily Sell Courses, Books and Merch Online – only $17! Learn step-by-step instructions for selling books, courses, T-shirts and more online. Simply upload images and let Amazon do the rest. No publishing or design experience needed. Selling Notebooks & Low Content Paperback Books On Amazon. Write and Self-Publish a Bestselling Book on Amazon. Merch by Amazon: An Introduction to Selling Print On Demand T-Shirts. Adobe Photoshop and Adobe Illustrator for Merch By Amazon and Print On Demand. How I Earn $5000+ a Month Passive Income Selling E-books and Video Courses. Rob Cubbon has over 25 years experience in graphic design, web design and marketing. He’s an Amazon bestselling author of seven books and bestselling Udemy instructor. His mission statement: “I want to help and inspire people to build sustainable online businesses, earn passive income and experience greater freedom and happiness in their lives”. Normally this collection of courses sells for $299, but for a limited time only, you can get the full set of Selling Courses, Books and Merch Online for only $17! That’s a 94% savings off the regular price. Click the BUY NOW button to start selling today! After completing your purchase, you will receive a special pre-paid link to register for this course at the vendor’s website, in order to gain access to this course. You will receive lifetime access to watch and re-watch the videos in this course as often as you like. Access cannot be shared. These are streaming videos, which require an Internet connection. You can also download the videos to view offline. No pre-knowledge is required for these courses.